2018-05-05: Just days after getting back from Seattle, I had an adventure a little closer to home. 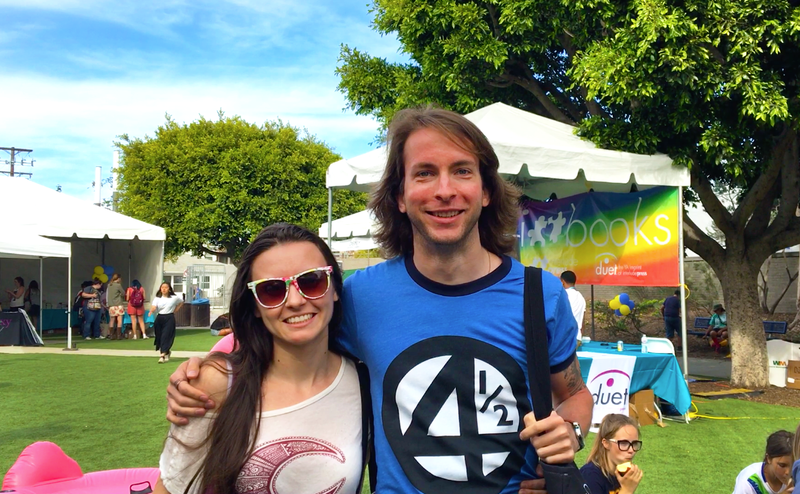 Along with Alex, I attended the Yallwest Book Festival in Santa Monica, California, and together we had a very busy day. 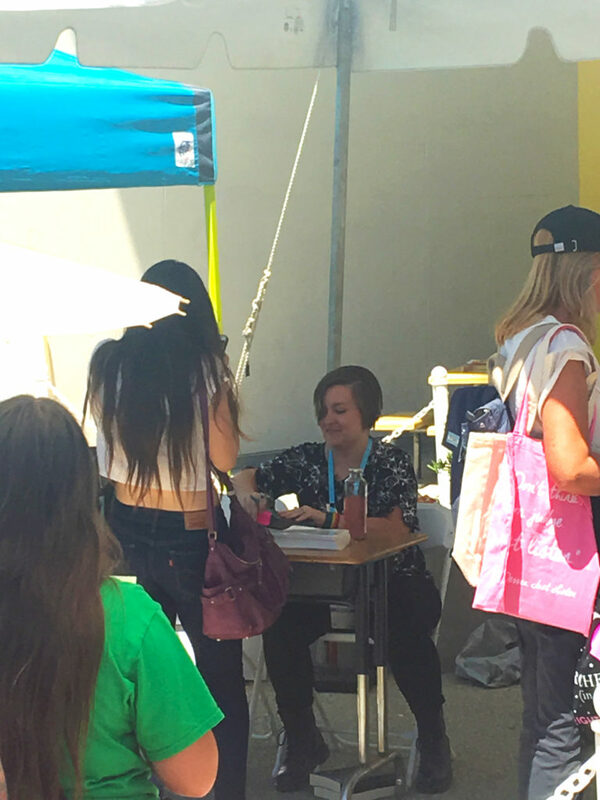 “Yallwest” partially stands for Young Adult Literature – West coast, with “yall” also meaning “y’all”, as in, inclusive of everybody. I don’t read much young adult literature, but my very good friend Caitlin does, and she’s the reason why I went to this. Caitlin is a very prominent book reviewer and book blogger in the young adult space. I highly recommend checking out her book review website A Page with a View, as well as her Instagram (@pagewithaview) and Goodreads account. She’s incredible! I went to high school and parts of college with her and I’m so lucky to have her as a friend. She was unable to attend, but she sent me boxes of her books that I was to get signed for her. There were a lot of books, and the author signings were happening all day in shifts at overlapping times. Thank goodness I had Alex with me, who led the coordination here – or else I’d have never been able to do it all on my own. 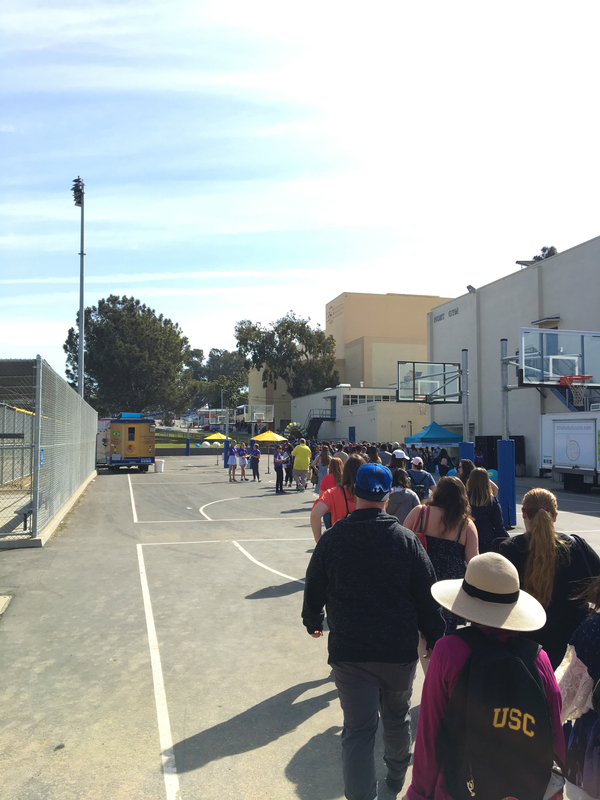 Our day started bright and early at Santa Monica High School, where the event was being held. We were there early, but not early enough – there was a long line over an hour before it even opened. After waiting a good deal longer, with totes of books under our arms, Alex and I were finally let in with other small groups of the enthusiastic crowd. I then realized my sunscreen mistake. 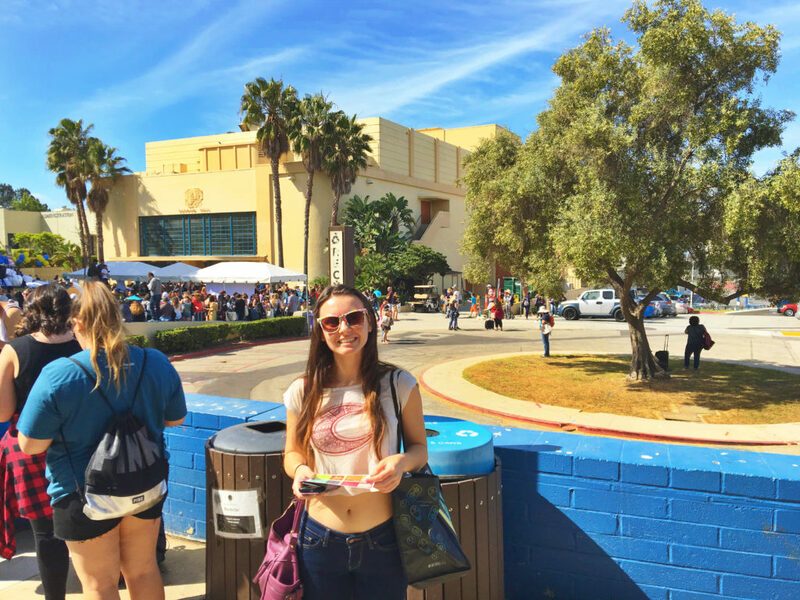 I had assumed that since the event was being held at “Santa Monica High School,” that we’d be inside a sheltered high school building all day – and thus I had not thought to wear sunscreen. But no. Santa Monica High School has an outdoor campus, and that’s where we’d be all day. It took us a little while to understand the lay of the land and figure out what our plans were. As mentioned, Alex took to it a lot faster than I did. We laid out gameplans, figuring out who needed to be in which line for which author at which time and where. 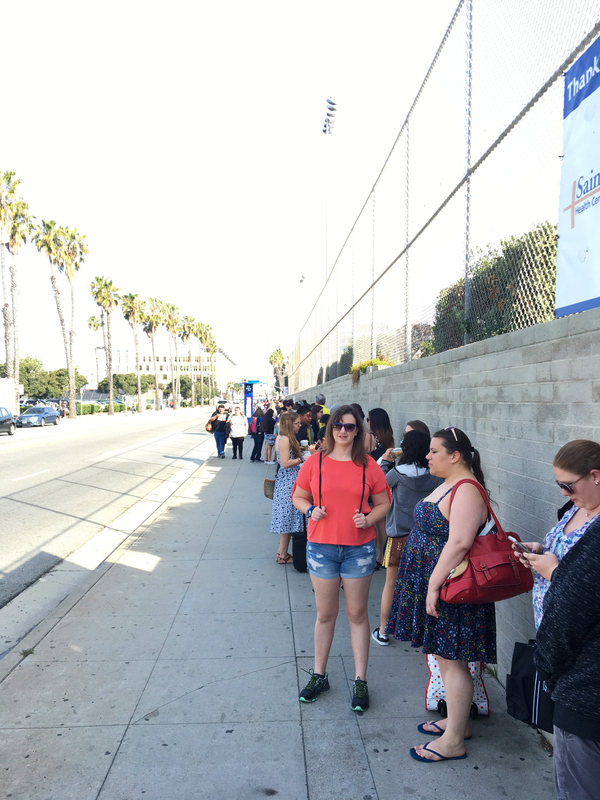 Some required lines for wristbands and then lines for the actual signings, too. We spent a lot of time in lines. But when the signings started it was a ton of fun. We started checking Caitlin’s books off the list. There was a lot of swag, too. Bookmarks, tote bags, previews, and even the occasional ARC – Advanced Reader Copy, or books before they’re published – though those were the most rare and treasured of all, and the surest things to disappear right away. 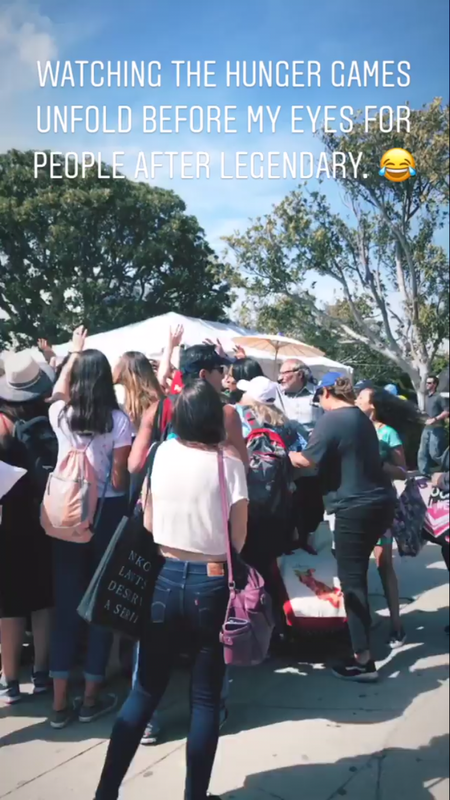 We also took photos and videos of the authors actually signing the books, so Caitlin could feel like she was there and get the full experience. 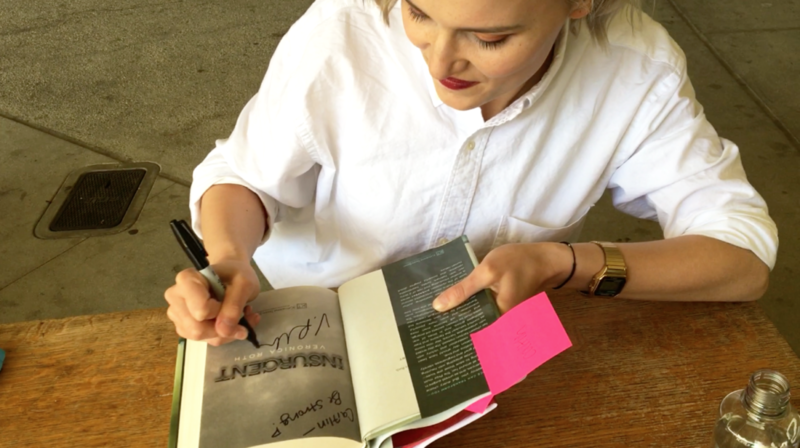 Here’s a pic from a video of Veronica Roth signing Caitlin’s copy of her book Insurgent. The post-it notes are what you’d write your name on, so the author would know who to make it out to, the spelling, etc. as easily as possible. Great system, easy to get ready while waiting in line. Sometimes I’d have three books by one author that Caitlin wanted signed, but the event had a limit of two per person. In all cases, someone nearby me in line who only had one book was nice enough to take another one from me and have it count as theirs. Everybody here was so nice. At one point, Caitlin was watching Instagram stories of other various book people who were attending this event, and she recognized Alex from a photo I’d sent earlier. I unfortunately don’t remember the name of this other Instagram person (sorry) but here’s what Caitlin recognized Alex from – they’d otherwise never met! What are the chances of that! Maybe not too bad, but still a fun coincidence. The last line that Alex had to be in, for a publisher’s booth that was giving away an especially good ARC, unfortunately had some issues. The coordinator set the line up going in one direction, and then later on changed the start and the direction of the line which set Alex (and lots of other people) back unfairly! 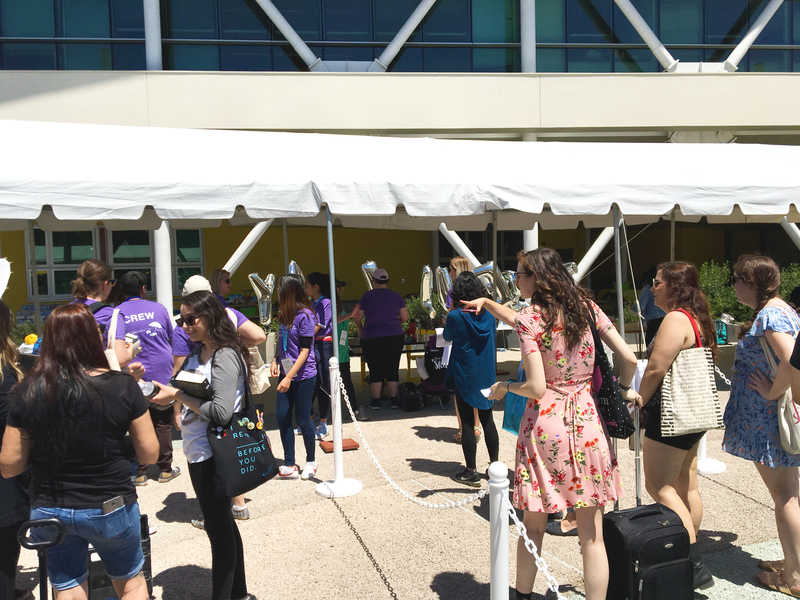 There wasn’t really any leadership by Yallwest here to stop this kind of thing, which was unfortunate… half of the event was controlled chaos and the other half was just plain chaos. Because of this, Alex wasn’t able to get that ARC for Caitlin. However, she later approached the publisher and explained what happened, and the publisher was nice enough to give Alex their contact information. Alex later got them to send Caitlin an ARC expressly for her. Beyond that unfortunate hiccup, we got every single book signed for Caitlin. WOW! We were exhausted and my legs were still tired enough from Seattle, but we did it. 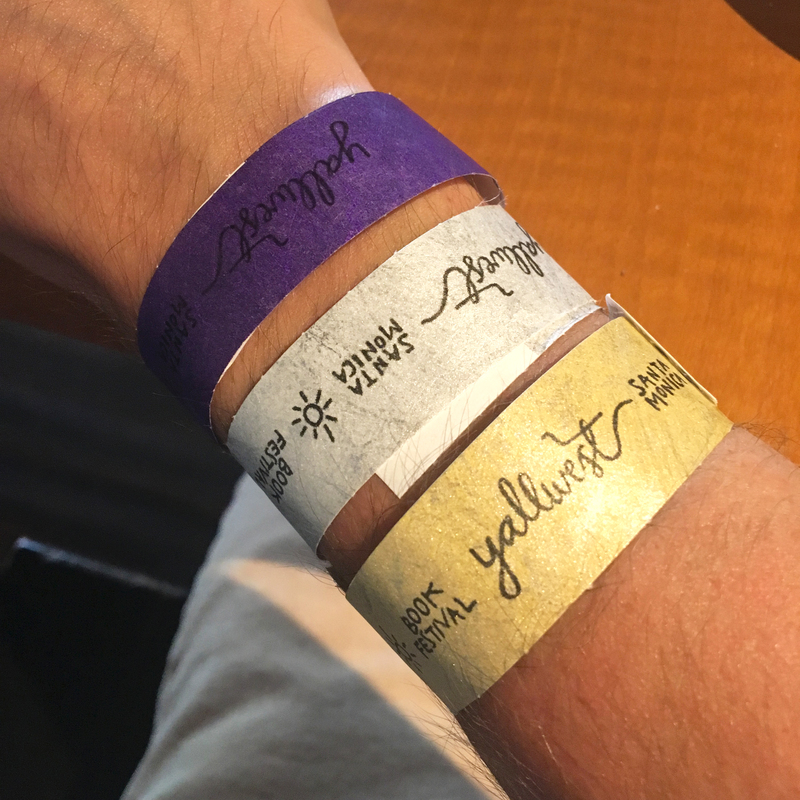 Afterwards we had a nice meal at Native Foods Café and I finally took off my accumulated wristbands.